Play Music is one of the best products created by Google. Google Music (old name) changed into Play Music, which is one of the bet music collection found on the internet. It is allowing you to upload your personal tracks to the servers and also download any file you want absolutely free. The bad thing is that Play Music doesn’t allow you to upload music purchased from another place than this one. So, if you have music downloaded from Amazon MP3 Store for example, you will not be able to upload it to your play Music account. So, if you want to upload music from your phone, you will need to follow some easy steps described bellow. First, you need a computer to do that. You will need to download and install Dropbox into your PC and create a free account which will allow you to have a 2GB free storage space. After the process of installation, you will need to create a folder into the Dropbox, named Google music from Phone or any name you will not forgive. 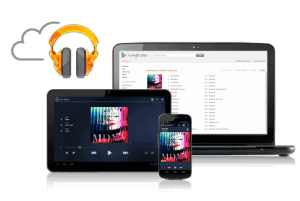 Now, you will use the web browser to navigate to Google Music. You will find a button named Upload music into the upper right side of the page. You will be redirected to download Google’s “Music Manager”. You will install it into your computer by double clicking it after the process of download is complete. Then, you will log into your Google account and you will select “Upload songs to Google Play”. You will be asked where to store the collection and you will select “Other folders”. Then, you will tap on “Add folder” and select the folder created earlier. Google Music Manager will ask you : “Do you want to automatically upload songs that you add to your selected folders in the future?” and you will select Yes. Remember to do that because it is a very important step. Now, your computer is set up and you will move to your phone. First, you will need to download the Dropbox mobile application and log in. After that, you will download Astro file manager and you will link it to your Dropbox account. You will use Copy function to copy the folders that you want to upload to Google music. You will use Astro file explorer to complete that. Here, you will click the Dropbox icon and open the folder created earlier. Now, you will simply paste your folders here. You will need to ways a few minutes to complete. Download the Google Music application if you didn’t already, select your account and enjoy your new music from your phone. Now, it’s all done. This process will also work using Google Drive or other service if autosyncing is on. Also, the method will work for iOS, BlackBerry or Windows tablets or smartphones.